Hold me. My favourite little music club in the world is closing. Let me explain, though– it’s not really closing, it’s moving to a new location. Why the panic, then? Anyone who’s ever been to Largo raves about the magical experience. But they also know that this magic is created by the musicians and audiences who congregate there, and orchestrated/facilitated by Flanagan, the owner and booker. We should all trust Flanny’s good taste, and feel safe in the knowledge that he will be at the helm of the new Largo-at-the-Coronet. I look forward to the ease of booking tickets (tickets! imagine that) online; not waiting in endless queues outside the door; not being forced to eat sometimes mediocre food or pick random strangers from the line to fill out my table for four, as amusing though that could be. I know there will be more than one toilet, and it might even be in good working order. And I feel secure that I will be able to find all of my favourite artists (Jon Brion, Fiona Apple, The Eels, Aimee Mann, Nickel Creek, Zach Galifianakis) on the new stage. But how odd that there will even be an actual stage. 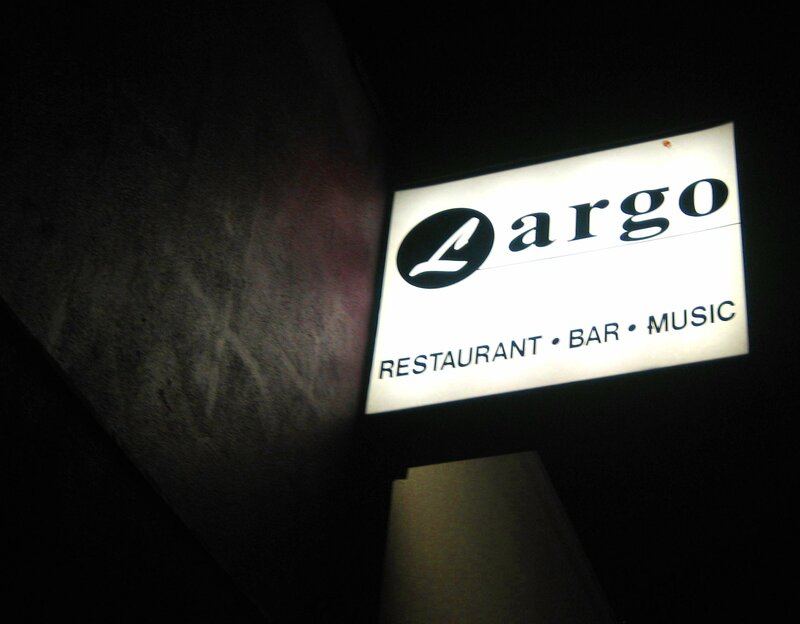 The new Largo will be a concert hall, not a cozy spot with the feel of private club. Will I still be close enough to reach out and touch Jon (not that I would)? Will we still feel like he is looking at us while singing, like the “pursuant eye’ of old portraits? Will the doorman remember me? Will I make as many friends as I did at the old place? We have no choice: let’s all take a deep breath, and jump. I’m confident that Largo will catch us.